Inspired by an approach called biomimicry, PING engineers analyzed the dragonfly's intricate wing pattern to design ultra-thin crown sections for extreme CG and maximized MOI. Dragonfly Technology, Vortec Technology, turbulators and a strong T9S face created PING's longest, most forgiving driver ever. Custom-engineered with weight closer to the heel to produce a right-to-left shot bend (Straight-Flight Technology) and steer the ball back into the fairway. 25 HC Lefty with a big R-L slice off the Tee. Boom! This club has made a huge difference to my drive. I used to regularly end up on the wrong fairway or oob, not any more. 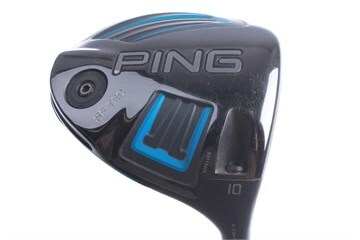 The club is however fairly loud but thats a small price to pay for the improvement in my drive. Golfbidder service is exceptional too!